Open a pack and indulge your feathered pal with a delicious experience - conveniently packaged as a 3 flavor assortment! 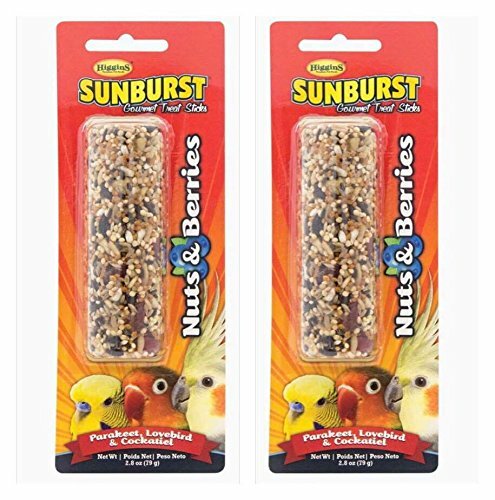 Sunburst® Nuts & Berries brings together tasty nuts and select berries for your bird's enjoyment! 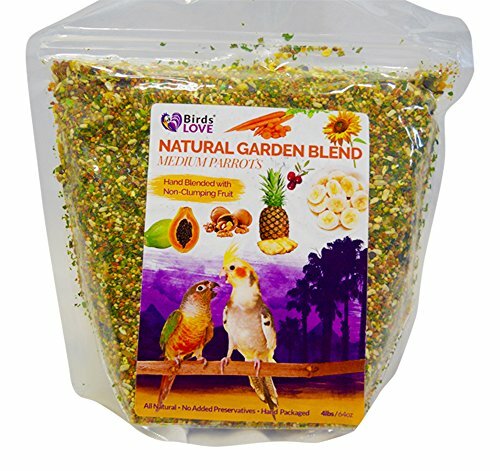 Great for Parakeets, Lovebirds, and Cockatiels, Nuts & Berries contains cashews, apples, cherries and blueberries. 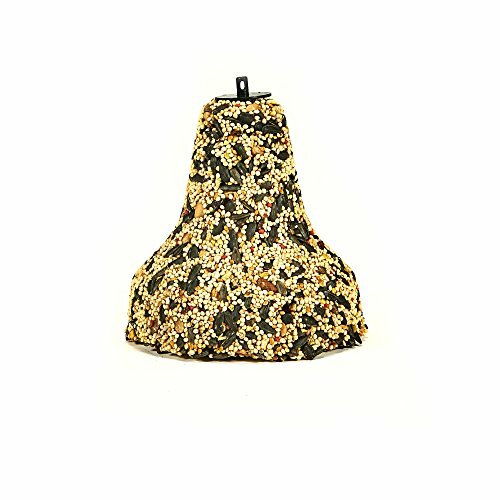 Kaytee Treat Bells are convenient, ready-to-hang, instant feeders and made with only the finest ingredients. Kaytee Fiesta exotic nut treat stick for cockatiel. Made from fortified and nutritious ingredients. Fun-to-eat way to add variety and activity to pet's diet. Fresh tasting flavors to provide a healthy treat. Available in 3.5-ounce. Feeding instructions, place treat stick in pet's habitat. For best results alternate varieties and limit to 1 stick per animal per week. Treats add variety and can be fed up to 20-percent of the total food intake. Discard unused portion if soiled. 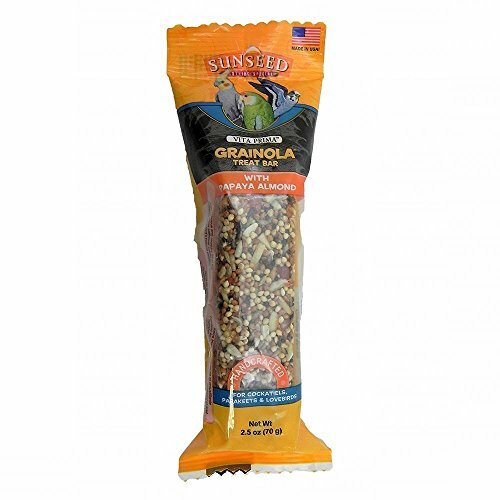 Sunseed grainola treat bar is handmade by coating different mixtures of seeds, grains, fruits, vegetables and nuts with a specially developed binder, hand packing them into forming trays and then slowly baking in low temperature ovens for over 8 hours. 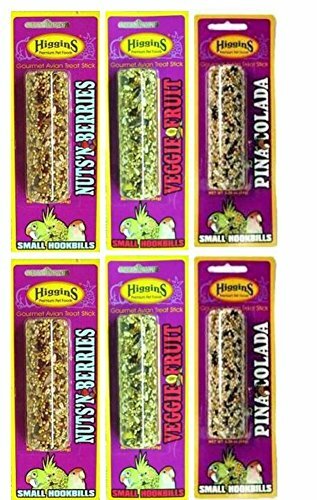 The result is a delicious, long lasting treat bar that birds and small animals will spend hours gnawing or pecking on to get every last morsel. These treats can last up to a week or longer depending on the size of your pet. 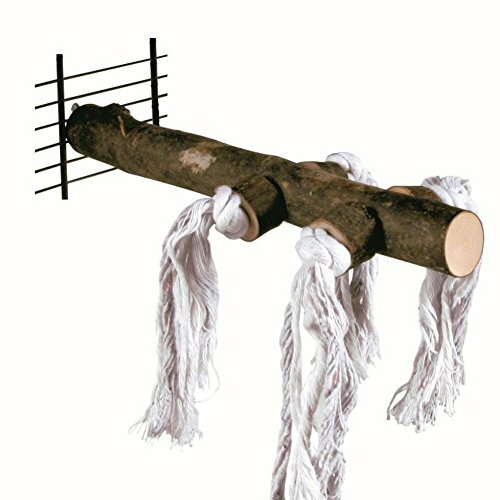 Perfect for cockatiels, parakeets, lovebirds. Available in papaya almond flavor. Its weighs 2.5-ounce. 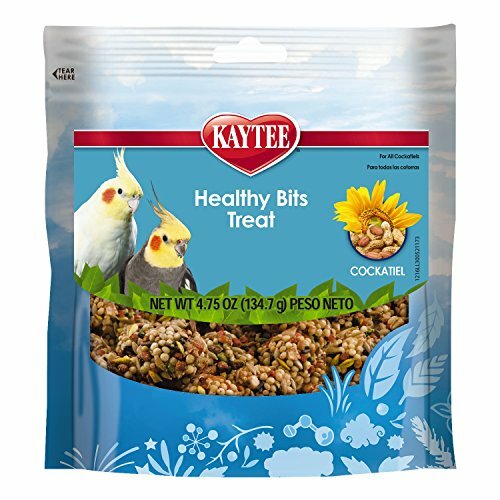 Kaytee Healthy Bits provide a crunchy, fun-to-eat treat for your Cockatiel. Healthy Bits are made with nuts, fruit, seeds and a touch of honey, all packed into a perfect size morsel to offer by hand or in a treat dish. Compare prices on Cockatiel Nut Stick at ShopPlanetUp.com – use promo codes and coupons for best offers and deals. We work hard to get you amazing deals and collect all available offers online and represent it in one place for the customers. Now our visitors can leverage benefits of big brands and heavy discounts available for that day and for famous brands.